The authors warn, though, that their research will not reduce projections of future temperature rises. I fully agree with redlink18…disparaging any comment that falls outside of the party line and concentrating on blaming a handful of well-paid individuals when there has been a clear and massive change in public opinion in the USA like in the UK, all of that will lead Mooney’s “camp” nowhere. On the other hand, given that the “warmists” have been scoring spectacular own goals for quite some time now, no wonder they show no chance of getting anything right at the moment. ADDENDUM JUL 13: Christopher Booker has managed to trace the 40% claim to a deleted web page. “Neither WWF nor Woods Hole come well out of this story“. Definitely, they do not. See also EU Referendum. ADDENDUM FEB 15: Daniel Nepstad has posted a statement endorsing “the correctness of the IPCC’s (AR4) statement on Amazon forest susceptibility to rainfall reduction” (link fixed on JUL 13). But Nepstad makes several references to 2004 and 2007 articles whose existence the IPCC authors were not obviously aware of. If the IPCC has been right for the wrong reasons, we can state it has been wrong: because it cannot simply be a matter of having it right by pure chance. Unfortunately I don’t have access to the full article but to call this reference “a complete load of porkies” seems a bit unjustified, unless it can be shown that Rowell and Moore completely misrepresent the Nature article (which of course *is* written by Amazonian specialists). The expression “a complete load of porkies” for what ended up in the IPCC AR4 WG-II Chapter 13, seems a bit justified indeed. First of all it should not be up to the reader to dig down in the IPCC references until anything peer-reviewed is finally found. If Nepstad et al 1999 were the primary source for the “Up to 40%” claim, that article should have been used, stated and referenced as such, no matter what Rowell and Moore understood of it. You may note that in both cases Nepstad et al 1999 is used to mention deforestation (something one might expect out of an article titled Large-scale Impoverishment of Amazonian Forests by Logging and Fire). Amazonian deforestation rates are used to determine human effects on the global carbon cycle and to measure Brazil’s progress in curbing forest impoverishment,,. But this widely used measure of tropical land use tells only part of the story..
Amazonian deforestation rates are used to determine human effects on the global carbon cycle(1-3) and to measure Brazil’s progress in curbing forest impoverishment(1,4,5). But this widely used measure of tropical land use tells only part of the story. Here we present field surveys of wood mills and forest burning across Brazilian Amazonia which show that logging crews severely damage 10,000 to 15,000 km(2) yr(-1) of forest that are not included in deforestation mapping programmes. Moreover, we find that surface fires burn additional large areas of standing forest, the destruction of which is normally not documented. Forest impoverishment due to such fires may increase dramatically when severe droughts provoke forest leaf-shedding and greater flammability; our regional water-balance model indicates that an estimated 270,000 km(2) of forest became vulnerable to fire in the 1998 dry season. Overall, we find that present estimates of annual deforestation for Brazilian Amazonia capture less than half of the forest area that is impoverished each year, and even less during; years of severe drought. Both logging and fire increase forest vulnerability to future burning(6,7) and release forest carbon stocks to the atmosphere, potentially doubling net carbon emissions from regional land-use during severe El Nino episodes. If this forest impoverishment is to be controlled, then logging activities need to be restricted or replaced with low-impact timber harvest techniques, and more effective strategies to prevent accidental forest fires need to be implemented. It is hard not to notice that Nepstad et al 1999 were concerned about deforestation and fires possibly exarcebated by severe droughts, whilst Rowell and Moore, and the IPCC authors and reviewers, completely turned the cards around, pushing hard on the climatic side first. Faulty communication allowed an unsubstantiated estimate of the melting rate of Himalayan glaciers to make it into the landmark 2007 report by the Intergovernmental Panel on Climate Change, a senior scientist and panel official said Monday. […] The official, Jean-Pascal van Ypersele, a vice chairman of the climate change panel, said that a glaciologist, Georg Kaser at the University of Innsbruck, in Austria, had sought to correct the information about the glaciers before it was published by the panel but that the correction came too late and never reached the people who could fix the statement. Why didn’t Dr Kaser think it worthwhile to voice his concerns in any form (public, or private) after the publication of the IPCC report in 2007? What made Dr Kaser place more importance on his colleagues potentially ill feelings about being criticized, than on scientific truth? And if a relatively well-known published scientist such as Dr Kaser finds himself forced into some kind of self-censorship and reluctance to speak out, how poisonous, impermeable to criticism and ultimately anti-scientific has the world of the IPCC become? Words of wisdom to the big cheeses at the IPCC: please stop digging! And so here I’ll add my small contribution: because the IPCC authors and reviewers have managed to collate evidence for climate change where even James Hansen and Reto Ruedy agree that the climate has not (yet) changed. Time to ditch AR4-WG2-Chapter1 altogether? I have already shown quite some time ago how AR4-WG2-Chapter1 fails to demonstrate the “global” in “Global Warming”. For example, Table 1.12, p116 “Global comparison of significant observed changes…”) contains a total of 26,285 observed “significant changes compatible with warming“. Of those, 25,135 come from Europe alone: that is a whopping 95.6% out a continent covering less than 7% of the world’s land area. Two out of three of the remaining observed “significant changes compatible with warming” come from North America. And so on and so forth. In other words: not even at GISS they can see any “climate change” concerning the USA. p105: Box 1.2. favourable conditions for wine…the same tendencies have also been found in the California, Oregon and Washington vineyards of the USA (Nemani et al., 2001; Jones, 2005). p107: One study of forest fires in Canada (Gillett et al., 2004) found that about half of the observed increase in burnt area during the last 40 years, in spite of improved fire-fighting techniques, is in agreement with simulated warming from a general circulation model (GCM)[…] it seems to be confirmed by another recent study (Westerling et al., 2006), which established a dramatic and sudden increase in large wildfire activity in the western USA in the mid-1980s closely associated with increased spring and summer temperatures and an earlier spring snow melt. QED: the IPCC AR4-WG2-Chapter1 is a sad joke almost devoid of scientific content. All that effort has been for nothing, all the more so as it reported (especially) about warming-related climate changes no matter what. That is, independently even from the actual measured temperatures. (*) The obligatory full reference: Rosenzweig, C., G. Casassa, D.J. Karoly, A. Imeson, C. Liu, A. Menzel, S. Rawlins, T.L. Root, B. Seguin, P. Tryjanowski, 2007: Assessment of observed changes and responses in natural and managed systems. Climate Change 2007: Impacts, Adaptation and Vulnerability. Contribution of Working Group II to the Fourth Assessment Report of the Intergovernmental Panel on Climate Change, M.L. Parry, O.F. Canziani, J.P. Palutikof, P.J. van der Linden and C.E. Hanson, Eds., Cambridge University Press, Cambridge, UK, 79-131. There we go again…another Defender of The Science mixing up “weather” and “climate”. Will Phil be convinced by my “Space-Time has digested AGW” argument? Maybe not. After all, who am I to pretend to be a climatologist. Well, then , perhaps the head of climate impacts at the Met Office Hadley Centre will make the Bad Astronomer change his mind. people often make the same mistake but in the other direction, and link every heatwave, major flood, drought and famine to global warming. Of course, we know that these things happen anyway, even without climate change – they may happen more often under a warmer climate, but it is wrong to blame climate change for every single event. Climate scientists know this, but still there are people outside of climate science who will claim or imply such things if it helps make the news or generate support for their political or business agenda. I have known the Bad Astronomer for many years (I have even met him once and he appreciated some “scientific” investigative job of mine) and he’s up there in my scientific Pantheon about Astronomy (and not just Astronomy). Plait is also doing a great job in fighting the child-killing practices of the anti-vaxxers. And to prevent the silliness of creationists from spreading. He should then realize his own heavy responsibility in not placing himself at the forefront of misusing science. People are victims of the weather. But if “the weather” is not “the climate“, then people are not victims of “the climate“. Therefore: why should anybody care about “the climate“? What is all this talk about climate change for, and about? Part 1 has shown how weeks if not months of “it’s weather, not climate” defenses of AGW mean the evaporation of the very concept of “climate” as used in AGW circles. Close scrutiny in temporal or spatial terms automatically excludes the possibility to talk about “climate”. In short, climate is the description of the long-term pattern of weather in a particular area. […] When scientists talk about climate, they’re looking at averages of precipitation, temperature, humidity, sunshine, wind velocity, phenomena such as fog, frost, and hail storms, and other measures of the weather that occur over a long period in a particular place. 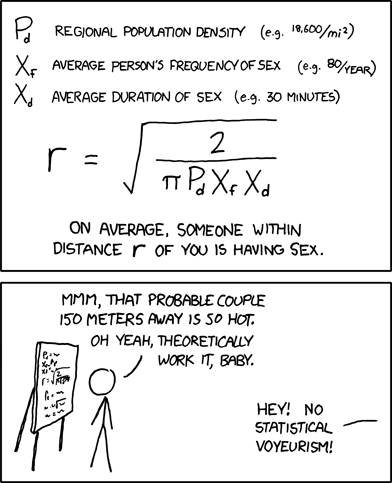 But people are affected not by averages: rather, by actual events. It is not for lack of examples that Mark Twain talked about “lies, damned lies and statistics“: apart from cricket, there is no sport where the outcome of a match is based on an average of past (or expected future) performances. Likewise: nobody dies because of “of the long-term pattern of weather in a particular area“…people suffer because of hurricanes, of heatwaves, of many other atmospheric “short-term patterns”, and especially of cold temperatures. People are victims of the weather. People are not victims of “the climate”. A larger problem with the media’s approach to covering the recent cold is that it ignores how people tend to think about climate change, which is squarely in the context of extreme weather and climate events. Such events are much more tangible to everyday experience than long-term climate change is, but they are not always related to climate change. Sometimes weather is just weather. The keyword there is “tangible“. In fact, how did the Guardian’s David Adam write a few months ago about the “scenarios…of how global warming will unfold across Britain“ as published by “scientists at the Met Office Hadley Centre“? And now for the weather. The 2020s are looking warm and dry, with occasional heavy winter showers. The 2050s should be sunny and warm, with scattered deaths due to heatwaves across London and the south-east. And looking ahead to the 2080s, temperatures could reach 41C, so be sure to pack the suncream for your picnic. And watch out for those great white sharks! “And now for the weather…”. QED. I am perfectly aware of the fact that it is a rhetorical device used to capture the reader’s attention. That is in fact my point: it is very difficult if not impossible to visualize (and care about) something unless it happens as a physical manifestation rather than as a statistical occurrence. What is an “increase” in “averages of precipitation, temperature, humidity, sunshine, wind velocity, phenomena such as fog, frost, and hail storms, and other measures of the weather“? Who knows? Instead: “For the UK […] a future of balmy Mediterranean summers“, writes George Monbiot at the time of the Hadley Centre report. According to Dr David Viner, a senior research scientist at the climatic research unit (CRU) of the University of East Anglia,within a few years winter snowfall will become “a very rare and exciting event” “Children just aren’t going to know what snow is,” he said. After all, at some point “climate change” will have to happen, if AGW is correct. So there must be a series of “AGW events”…but if all events are “weather” and not “climate“, then…why should anybody care about “the climate“? Of course, we know that these things [a series of “warmest” years] happen anyway, even without climate change – they may happen more often under a warmer climate, but it is wrong to blame climate change for every single event. And so the question arises for the n-th time…if to talk about “climate” means to state pretty useless assertions…why should anybody care about “the climate“? Alas, thanks to the staunch defence of AGW no matter what, it is about almost nothing. I have already written how very little there is to show for AGW (most if not all issues are firmly expected for sometimes in the future). And now, whatever AGW has become, it is turning into a ghost of itself in front of our very eyes, because of insurmountable problems of time (and space) . In short, climate is the description of the long-term pattern of weather in a particular area. Some scientists define climate as the average weather for a particular region and time period, usually taken over 30-years. It’s really an average pattern of weather for a particular region. When scientists talk about climate, they’re looking at averages of precipitation, temperature, humidity, sunshine, wind velocity, phenomena such as fog, frost, and hail storms, and other measures of the weather that occur over a long period in a particular place. In the last few days, a notable conjunction occurred when these two men [Hansen and Watts] essentially agreed on something: that the planet — despite a lot of very cold patches — is unusually warm. But the reasoning goes both ways: the same distinction between “weather” and “climate” can be applied to every alleged AGW manifestation on short timescales. Each melting glacier, each heatwave, each single-year or even decadal decrease in Arctic ice is “weather”. And so we are left in this limbo, where “climate change impacts are already evident” even if they cannot possibly be. If you try to look at it at too fine a temporal detail (a decade or less), there is no such a thing as “climate” (or so we are told). Hence, AGW does not apply. If you try to look at it at too fine a spatial detail (a couple of decades or less), there is no such a thing as “climate” (or so we are told). Hence, AGW does not apply. That is, weeks if not months of “it’s weather, not climate” defenses of AGW mean the evaporation of the very concept of “climate” as used in AGW circles. The same can be said about every alleged AGW manifestation on short timescales, from each melting glacier to each heatwave to each single-year or even decadal decrease in Arctic ice. And so we are left in this limbo, where “climate change impacts are already evident” http://www.jri.org.uk/wordpress/wp-content/uploads/JRI_18_Joseph.pdf even if they aren’t. Climate Change Detection/Attribution? Some Hope!